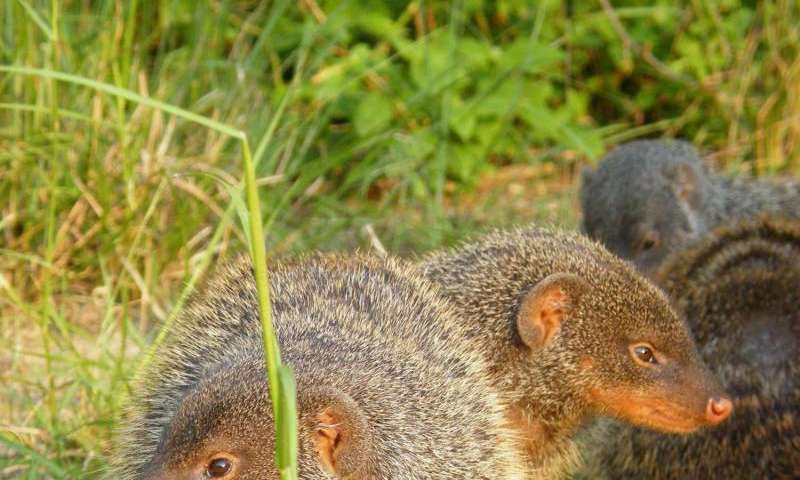 Researchers studying banded mongooses in Uganda have discovered that these small mammals are able to discriminate between relatives and non-relatives to avoid inbreeding even when mating within their own closely related social group. Inbreeding can be a big problem for social species such as banded mongooses because they grow up in social groups consisting mainly of close relatives. This study is the first to suggest that social animals are able to avoid the costs of inbreeding without relying on un-related mating partners from other social groups. Dr Jennifer Sanderson, from the University of Exeter, has been observing wild banded mongooses to understand how they avoid the negative aspects of inbreeding. The findings of the 16-year study are published today in the journal Molecular Ecology. She found that while most social mammals avoid inbreeding by either not breeding or dispersing to a group of non-relatives, male banded mongooses avoid inbreeding by focusing their mating effort towards females within their extended family to which they are least related. Although the researchers do not yet understand how they avoid inbreeding, the mongooses may use scent, or their highly individual calls, to help them gauge relatedness. According to Dr Sanderson: "Wild animals are known to use a variety of tactics to avoid the costs associated with inbreeding but most of these tactics involve dispersal or waiting to encounter an unrelated immigrant. Our study has shown that both male and female banded mongooses are able to avoid inbreeding while mating within their family group even in the absence of immigration". 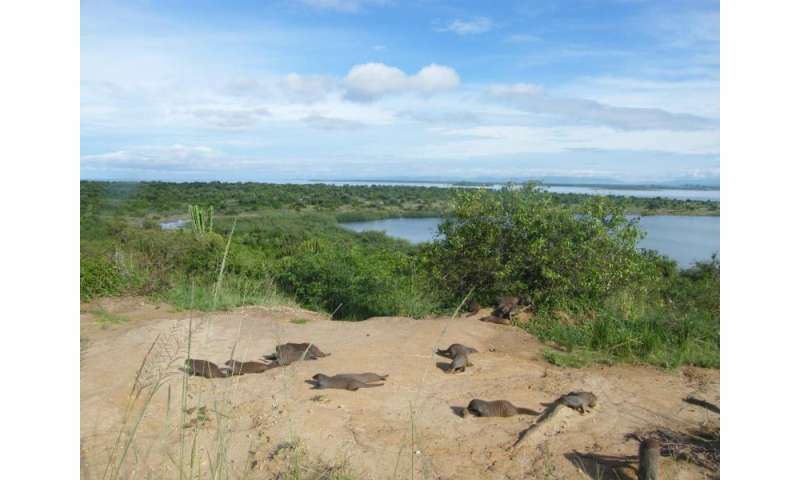 Dr Sanderson collaborated with Dr Hazel Nichols to collect thousands of genetic samples from the Ugandan mongooses which were then analysed at Liverpool John Moores University. Dr Nichols from Liverpool John Moores University said: "We've used a large number of genetic markers to determine the parents of over 1500 banded mongoose pups. This has allowed us to quantify the occurrence of inbreeding and investigate the tactics used by both male and female banded mongooses to avoid it." Banded mongooses are close relatives of the famous meerkat and are found living in stable social groups across Central and Eastern Africa. They are highly social, with most individuals remaining in their natal group surrounded by relatives for their whole lives. Dr Sanderson found that when banded mongooses did breed with close relatives the resulting inbred offspring were significantly smaller than their outbred littermates when they emerged from the den for the first time. This finding is indicative of inbreeding depression and highlights the benefits to be gained from avoiding mating with close relatives. Male banded mongooses actively guard females to gain access to mating opportunities, and the study shows this guarding behaviour is preferentially directed towards less closely related females. Professor Cant from the University of Exeter, who leads the Banded Mongoose Research Project which has been observing the mammals' mating behaviours for over 20 years, said: "We've used a combination of behavioural observations and genetic analyses to investigate possible tactics of inbreeding avoidance in both male and female banded mongooses. It's not just the males who actively avoid mating with relatives; we also found that female banded mongooses may avoid inbreeding by upgrading from related mate-guards to unrelated mating partners." The results of this study are the first to demonstrate a breeding system where both males and females are able to avoid inbreeding when mating within their extended family group and in the absence of unrelated immigrants. This mechanism of inbreeding avoidance is previously unknown in cooperative breeders, but may be more important in species where there is variation in within-group relatedness, and where dispersal or extra-group mating opportunities are limited. 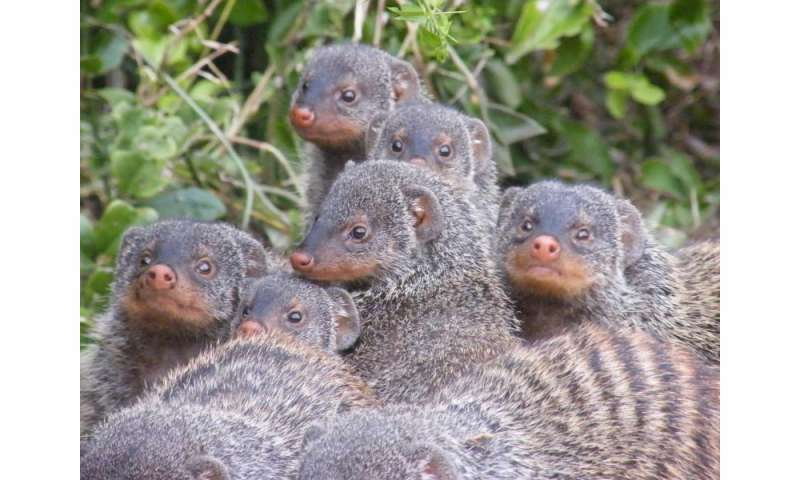 More information: 'Banded mongooses avoid inbreeding when mating with members of the same natal group' by Jennifer Sanderson, Jinliang Wang, Emma Vitikainen, Michael Cant & Hazel Nichols is published in the journal Molecular Ecology.